One of two 18-hole courses at the luxury five-star Donnafugata Resort in the south of Sicily, the Links layout is a Franco Piras design that sits on open, rolling terrain a few miles from the sparkling waters of the Mediterranean Sea. Whilst the Gary Player-designed Parkland course winds through a typical Ragusan landscape of olive and carob trees, the fairways of the Links course stretch out around a couple of lakes that lie within two large valleys. Water only ever threatens at four of the holes, however – most notably at the par four 8th, which plays to an island green. The toughest hole is kept until last (the 18th is rated stroke index 1 on the scorecard) and the degree of difficulty here is hardly surprising when the acreage of sand protecting the home green is taken into account. Group of 7 of us played it twice last week. Its a really interesting, varied and well designed layout.......but it is not being cared for nearly well enough. Many massive bunkers are a big feature of the course, but too many had very little sand and many stones in them. Significant rabbit damage to fairways and some tees. Until/unless its condition improves its not worth the trip. That's a great shame. I noticed that no review of this course had been posted since 2015 and since then I am afraid that the condition of both courses at Donnafugata must have gone downhill. Me and my partner stayed and played at Donnafugata and Verdura on a two destination golf holiday in September 2017. Of the two courses, the Links is the more interesting course and in significantly better condition than the Parkland course. The greens were very slow, but this is understandable in a hot country such as Sicily. The Links is a typical resort course, with wide fairways and undulating greens. There are many changes in elevation and some significant distances between greens and tees so a buggy is recommended (sadly these are overpriced at Eur50 for 18 holes, with no GPS). However, our overall impression of the Donnafugata resort is that they do not have the funds to maintain the courses to a high standard. I could not recommend either course for any reasonably serious golfer if they are to be played repeatedly (my handicap is 10 and my partner’s is 17). 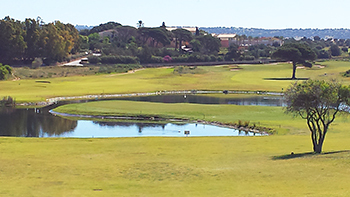 I would also not recommend Donnafugata as a destination for a golf holiday because of the condition of the courses. Fully agree with your assessment. Its a great shame as the Links especially is an excellent and interesting layout, but its condition last week was really poor, the bunkers especially, plus lots of rabbit damage on tees and fairways. The Links Course at Donnafugata might be a little misleading from its title and from your initial impression standing on the first tee box, but after you finish your round you might just think it is appropriate enough. If your expecting the classic style of links as used for the Open Championship you may be disappointed, no huge sand dunes, pot bunkers or vast undulating greens, neither is it flat as many of the UK links courses seem to be, however if you were to tilt links style holes so you played up and down slopes, on top of a ridge or down in a valley then that might give you a better impression of what to expect. What in fact you get are eighteen great, outstanding golf holes, individually interesting but when combined add up to a roller coaster of golf that is going to test every club in the bag and placing a premium on shot making, it is a thinking course with lots of reward holes, this is a place to bring your “A” game as it is difficult to score well. The first sets the tone for many holes a good drive on the par five gives you the opportunity to “go for the green”, or do you play safe taking three to reach .The second plays uphill with mounding on either side of the fairway a blind tee shot followed by a blind second to an elevated green. The third a very long par three, hitting downhill to a large heavily bunkered green, from there you have elevated tees, dog legs and lots of sand and water before you come out on to the seventh tee box a first glimpse of the ocean and feel those sea breeze’s which can affect clubbing on this the shortest par three. The eighth might be the signature hole a good hit to a small landing area seventy yards below sets up a pitch to an island green water water everywhere. The course goes on, a massive tree stymies all but the best tee shots on nine an uphill dogleg for ten, drive over scrub land to find an angled fairway on eleven, a huge sweeping dog leg downhill par five at thirteen. Fourteen is the most classic of the risk reward holes on the course, play left too land between two lakes or go the long way, short or long iron into the green depending on your route, all surveyed from an elevated tee, this is golf at its most thrilling and demanding. Hit over another tree to find a fairway on the uphill sixteenth before playing down the sweeping seventeenth, then heading for home on a classic last hole hit straight and long and you will be home in four. This is not the easiest course but the tee boxes are generous enough to allow all standards to play and enjoy, it is a real thrill ride the fairways generous and good to play off the greens reasonably slick and not too undulating it does have water on several holes and lots of greenside bunkers but it is one of those courses that when you look back no matter what you scored you will have enjoyed playing a round here. These really are eighteen holes of thrilling, exhilarating golf.